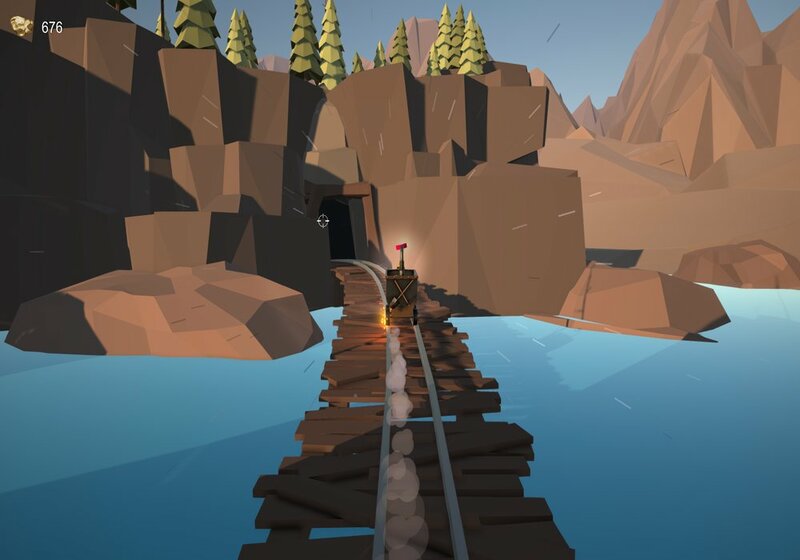 "A fast paced mine cart adventure"
Mined If I Break is a fast paced and frenetic adventure game where you take control of a Mine Cart full of gold as it runs down an increasingly speedy track. 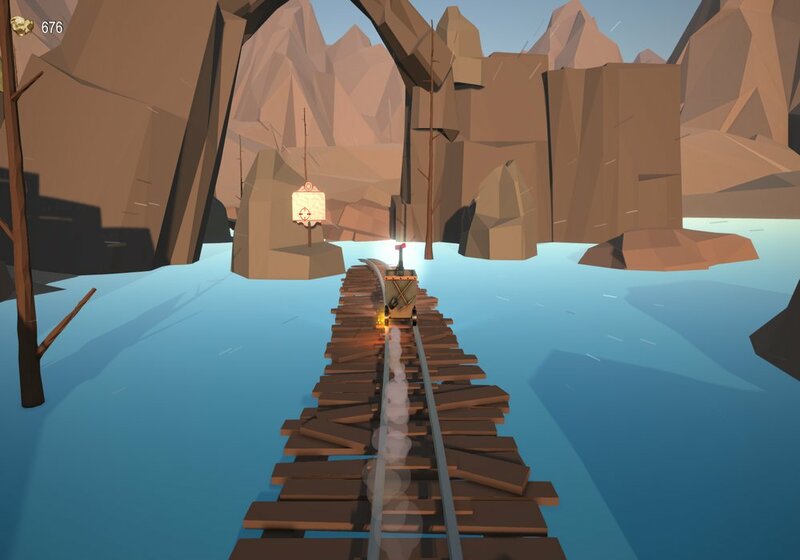 The objective of the game is to try to keep as much gold as possible from your cart as it careens down the track, to do this you will need to try and time your clicks to shoot out a lasso type thing which will attach to the danger and warning signs dotted at the sides of the track, your lasso will steady your cart as it speeds around sharp turns and help you to avoid gold spilling out of the minecart, but if you miss grabbing hold of the sign posts then you will start to see gold falling out and you will lose points. 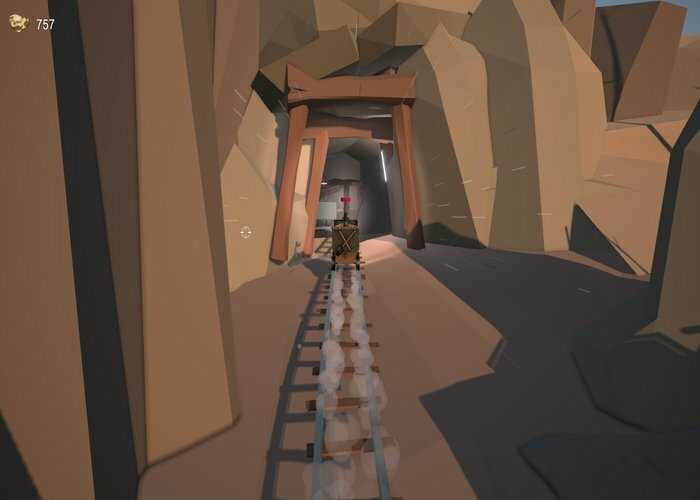 Mined If I Break is a fun and colorful game that conveys the felling of flying down mine-shafts at high speed and try to hold on for dear life, the one click control makes it a fairly simple game for anyone to pick up and play and of any ability but it is also the same reason it can become quite repetitive after playing for a while, but the twists, turn and animations of the cart flying down the tracks is a lot of fun and definitely worth playing. 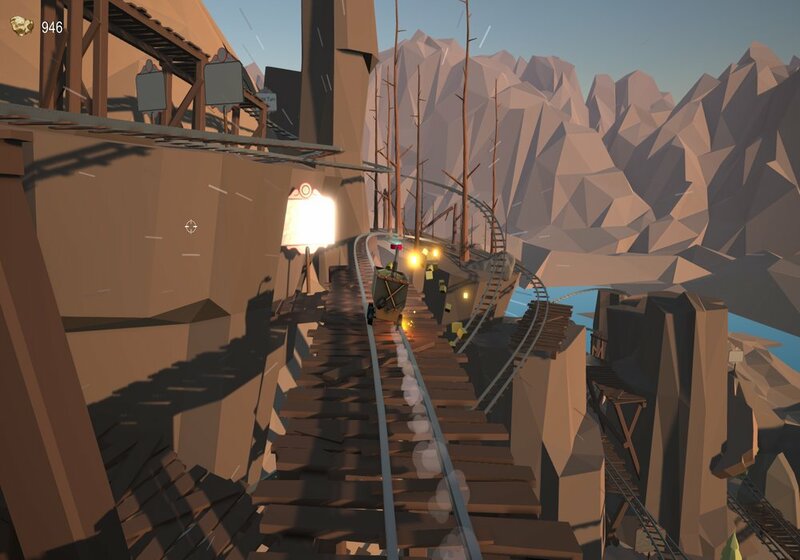 You can download Mined If I Break here for free.